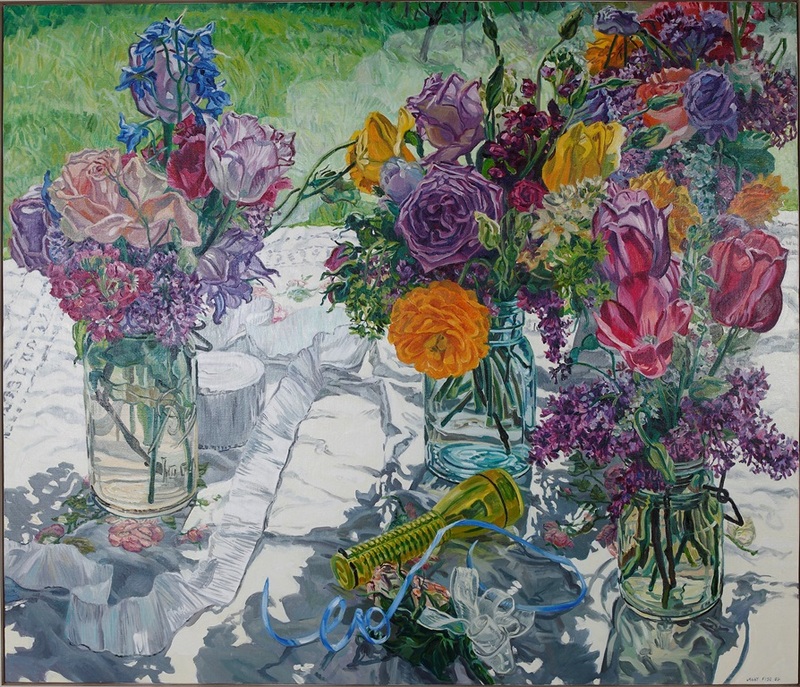 Contemporary realist painter, Janet Fish, creates still life scenes in which the objects themselves are not the primary players. Rather, the colors and light effects create movement throughout the composition. The arrangement of the objects, which often takes several days to finalize, reveals Fish’s interest in juxtapositions. Large and small, bright and shadow, heavy and soft combine seamlessly in After a Wedding, where light dances across vibrant flowers in glass jars, tossing shadows on to a white cloth and colored ribbons that rest on top of a grassy patch.